Over the holidays I made a pilgrimage to see the King. My pilgrimage, I must confess, was not the most exacting of journeys. I traveled a mere 5 miles by car to see the home of a man whose impact on the world has been one of the greatest in history. 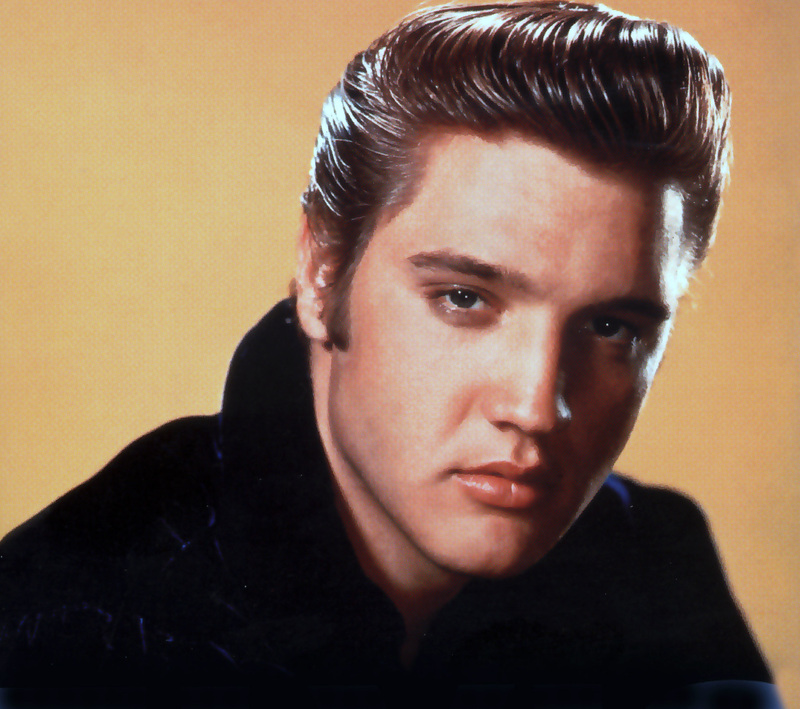 I’m talking about Elvis Presley, of course, the King of Rock ‘N’ Roll. His mansion, known by countless fans as Graceland, is the holy site visited annually by more than 600,000 pilgrims. 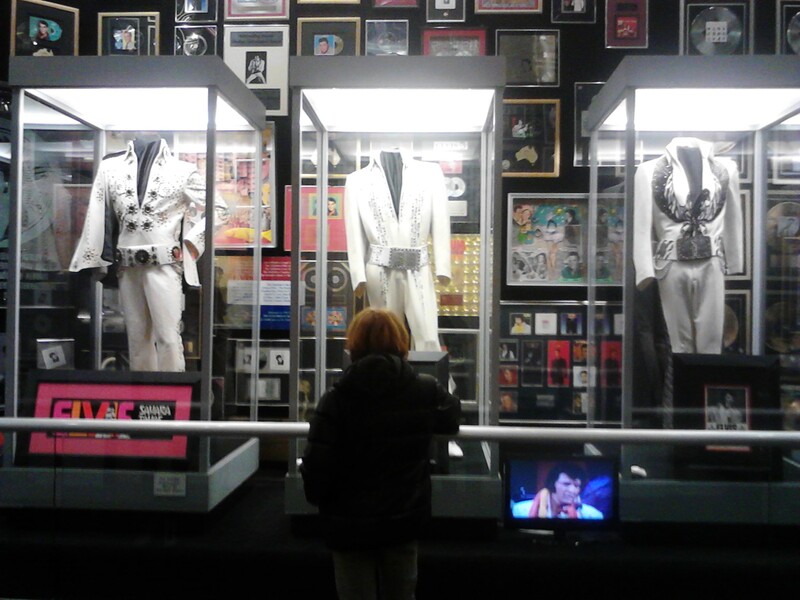 For some, visiting Graceland amounts to nothing more than a fun cultural experience. The glitz and glamour of Graceland are unparalleled by 1950s standards. The “Jungle Room,” for example, boasts an indoor waterfall, dark green shag carpeting, and totemic wooden furniture. Though born in an austere shotgun home in Tupelo, Mississippi, Elvis climbed to stardom in his early 20s. His financial success aided a lavish lifestyle at Graceland, which included a $200,000 racquetball court, a meditation garden, and a TV room where the King would watch up to three TVs at once. Attractions aside, Elvis continues to capture the hearts and souls of his fans. With over 1 billion records sold, the King shares the pedestal with only The Beatles as the most revered musician in history. Perhaps this helps explain why, for others, visiting Graceland is a religious experience. 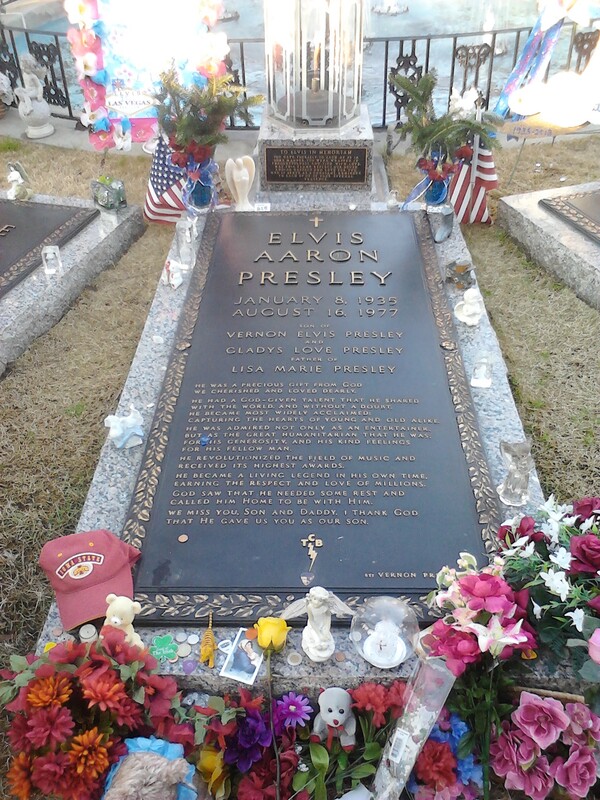 Whether it’s the overflowing crowds at the annual Elvis Vigil or the daily flower offerings laid upon his gravestone, a trip to Graceland is for many an act of worship. The devotion paid to him today, now 35 years later, proves that his charisma left an indelible stamp on history. During my visit, I met a nice elderly couple who had driven down from Alberta, Canada. Tellingly, this was their second trip to Graceland, and when I told them this happened to be my first and that I was a native Memphian, they gasped in sheer disbelief. “What!? What took you so long?” they wondered. All this, I think, raises some fun questions: What does Graceland tell us about our propensity to worship? What is the value of a pilgrimage in the modern world? And what is the purpose of paying homage to a deceased person, especially an entertainer like Elvis? First, seeing Graceland not simply as a tourist attraction but as a place of worship forces us to realize that most (maybe all?) humans desire to worship someone or something. To be sure, it’s possible for many to go about life in the 21st century without asking those pressing, existential questions: Is there a God? Why am I here? What happens when I die? The distractions and entertainments of our culture discourage deep philosophical and theological thinking. Nevertheless, I find the arguments related to the human instinct to worship compelling. St. Paul takes this approach in his visit to Athens: “Men of Athens, I see that in every way you are very religious….” John Calvin, too, speaks of our propensity to worship in his Institutes of the Christian Religion. For Calvin, all humans have a sensus divinitatus, or an “awareness of divinity,” but struggle to worship God properly because our hearts are idol factories. In more recent times, the sociologist Peter Berger echoes these thoughts: “Men are congenitally compelled to impose a meaningful order upon reality.” The religious act of a pilgrimage, I think, serves precisely this function. While pilgrimages might seem like an antiquated practice in our globalized world, the very fact that droves of devotees pay homage to Elvis each year suggests that pilgrimages are not dead. We should not write off Elvis fans as if they were simply an eccentric, one-of-a-kind bunch. From India to Indiana, people are constantly paying homage to their lords and heroes, whether it’s Lord Vishnu or the Notre Dame football team. Pilgrimages not only educate people about the uniqueness of a particular place, but they generate shared experiences and promote a sense of community, both of which are desirable in modern cultures which foster loneliness and isolation. Finally, besides the benefits mentioned above, pilgrimages are alive and well today because people find meaning in paying homage to the deceased. Fans flock to Graceland because they emulate a man whose music and charm transcended the ordinariness of daily life and became a formative part of their own upbringing. Reminding us of our own mortality, visiting a gravestone can evoke powerful emotions and memories that tell us something more about who we are and who we hope to be. To close, I would contend that any discussion of pilgrimages and their value in the modern world should be reframed to reflect our innate proclivity to worship. The question, therefore, is not, “Will I go on a pilgrimage in 2013?” Nope, the better question is this: “What kind of pilgrimage will I go on this year?” In other words: Where will you direct your religious devotion? What holy sites will you visit, and what community will shape you the most? As another famed musician, Bob Dylan, once wrote, “You’re gonna have to serve somebody.” So who’s it gonna be? Who will be your King? John Calvin, The Institutes of the Christian Religion, ed. John T. McNeill. Trans. by Ford Lewis Battles (Philadelphia: Westminster Press, 1977), 43. Peter Berger, The Sacred Canopy: Elements of a Sociological Theory of Religion (New York: Anchor, 1969), 26. Sorry, not “the most revered”!! You must be talking about within the American bubble…Certainly not the world. Elvis Presley was NOT as global as some like to make out. Truth! And, the one billion is a myth, started by his record label way back in 82 – which makes the claim even more ridiculous! GB of WR should have checked beyond the supposed sales plaque given to him by his OWN record company. Not one well-known, credited musical establishment or body has recognised such. And, at the very least, past worldwide charts would have had to be full of almost non-stop chart toppers and in many countries, and on and on. No SOLID and in-your-face evidence of any kind. THAT, in itself is just one big give away to these claims. It is a myth that has never being seriously challenged for facts, (though the above music establishments ignore the claim, anyway). Surprised at GB of WR with that one, but it may come to light one day. We grew up with EP as part of our mother’s musical diet, along with Fats Domino, Chuck Berry, (who some call the ‘True King of Rock and Roll) and other artists… and we respected all of them, but formed our own tastes as we got older. However, certain claims being made are far from true! Well, apart from the outrageous claims above, we are glad you enjoyed the experience of visiting Graceland.